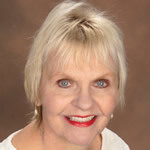 A guest column by Nancy Hykel, Library Director, West, Texas. Nancy is an avid reader and proponent of education and knowledge. Forbidden love. Shots ringing out in the night. Imaginary people in imaginary lands. Real politicians in our very real world-yikes! Books have something for everyone. And, reading is easy: no special gear, no fancy uniform, no sweat. Reading keeps the aging mind alert and active. As important as keeping an active mind, though, is cultivating an active social life after retirement. That's far from easy as our world often morphs into something foreign as we age. An excellent option for an avid reader: join a book club. Finding a reading group is usually as simple as contacting the local library. If a group doesn't exist, consider starting one. Library and center directors appreciate someone taking the lead by establishing new community activities. Of course, that means playing by their rules: time, location, group size. But, just a few flyers and phone calls will pull in the typical five to fifteen like-minded book club members. Another option which allows greater freedom is taking turns hosting meetings at various members' homes. One local group that does this serves book-themed refreshments at meetings; another local group reads a selected book monthly but mostly drinks wine when they get together. (The waiting list to join this club is a bit long!) It isn't unheard of for restaurants to offer space and discounts to club members, especially if the group is willing to meet outside rush hour. Book selection can become challenging. Input from everyone is important; otherwise, one person's fondness for a particular genre can become tiresome. Just remember, book clubs are often less about books and more about friendships-well, that and the snacks. Long lists of reading-group favorites can be found online. A personal suggestion is to stay away from best sellers and well-known authors; you'll read those on your own anyway. Unlike those dreaded "assigned books" in high school, reading outside the box in a book club can be refreshing; doing so introduces new authors and genres often overlooked from our comfortable reading ruts. Regardless of selection, books aren't always liked by everyone; everyone doesn't always read books; books aren't always discussed in depth by everyone. (Ironically, often more discussion is generated by books that aren't liked than those that are!) But, the spirit and camaraderie of a monthly visit with new and old friends goes far beyond any joy even the best book can provide. Thank you, Nancy, for sharing why we should join a book club.